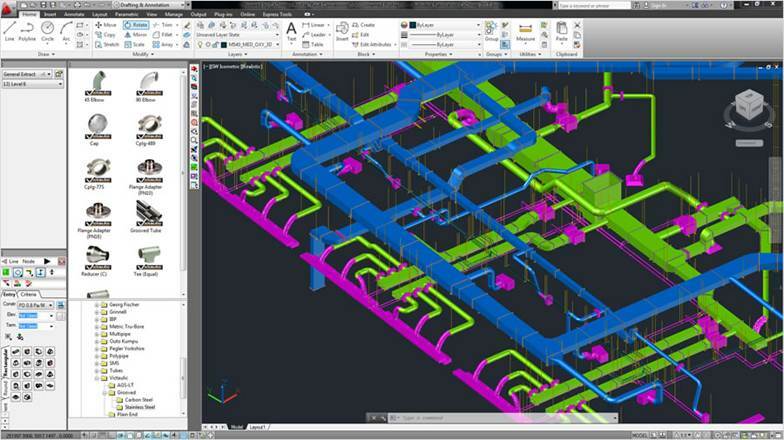 Autodesk Fabrication CADmep 2013 software connects design, detailing, fabrication, and installation of MEP systems in a familiar AutoCAD-based environment, using real-world content libraries and specification-driven ductwork components. The software can be used by Drafter, Co-ordinator, Detailer and BIM Managers to design MEP systems, or extend AutoCAD MEP design-intent models, ready for the fabrication and installation of building systems. Promote productivity by using Design Line technology during a redraw process. 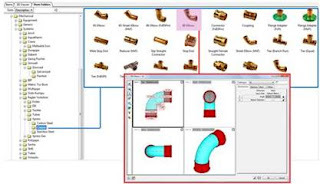 The Design Line feature has capabilities of swapping out services and sizes and allocating manufacture specific content for comparison and analysis without the need to redraw. 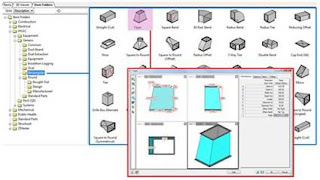 The Design Line system provides the underlying rules for importing systems from other applications such as AutoCAD MEP. The Autodesk Fabrication CADmep Object Enabler is a freeware application that can be used to access Autodesk Fabrication CADmep 3D drawing files. This allows object data and geometry created in Autodesk Fabrication CADmep 2013 to be accessed outside the Autodesk Fabrication CADmep 2013 environment In particular, the Autodesk Fabrication CADmep object enabler allows Navisworks users to directly retrieve property data while reviewing Autodesk Fabrication CADmep 3D models. Fabrication CADmep uses libraries of real-world data rich content for mechanical, electrical, and plumbing (MEP) contractors. It features real manufacturers and real ductwork components, helping to support detailing accuracy so building systems are ready for fabrication and installation. Adjust database information to suit the needs of your clients and your projects. 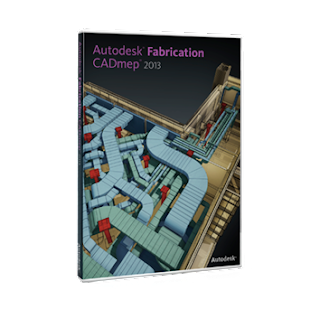 Fabrication CADmep also provides the feature to migrate your existing MAP content to Autodesk Fabrication. Access, report, and export the data contained in Fabrication CADmep models. Use the data in third-party applications for accounting, procurement, or data analysis, and support and help to simplify your business processes. More seamlessly utilize Fabrication CADmep models in other Autodesk Fabrication software. Extend to Fabrication ESTmep software for estimating, cost analysis, and variation tracking, and use spooling tools to create manageable sections ready for procurement and send ductwork systems directly to Fabrication CAMduct software for manufacturing.